Classic country is one of the most beloved genres of music, but casual fans have a tough time sifting through countless budget-priced compilations featuring rerecordings, poor sound, and nonexistent discographical details. By focusing on the most memorable hits of country's golden era-the '50s, '60s, and '70s-the 2-CD The Only Classic Country Collection You'll Ever Need will please not only longtime country fans, but also neophytes who want a sampling the best that country has to offer. 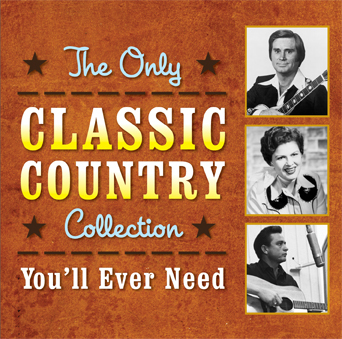 It truly is the only classic country collection that most consumers will ever need!